A memorial booklet to A. E. Knoch. 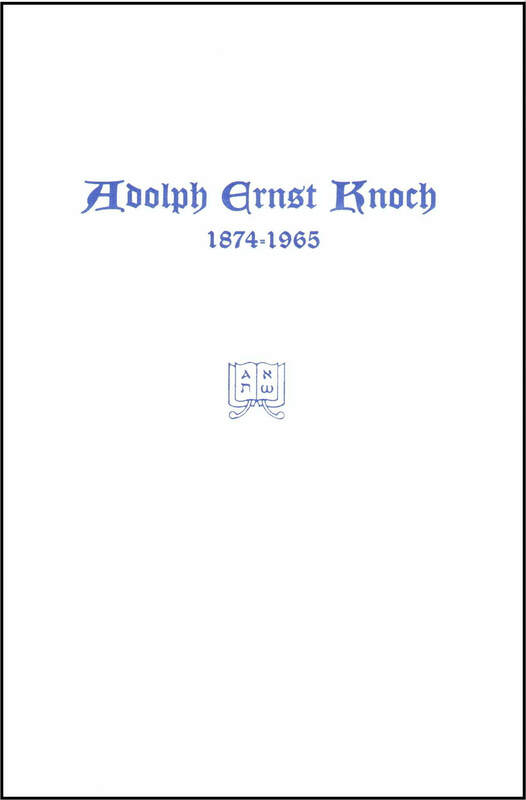 A reprint of the May, 1965 issue of Unsearchable Riches magazine; a memorial to A. E. Knoch. Contains much biographical information as well as a historical sketch of the Concordant Publishing Concern. This document, in a five-part series, is also available on-line, referenced from our standard Concordant Expositions page.